AFC Bournemouth’s squad is currently looking quite thin on the ground due to a number of injuries. In central midfield, Lewis Cook has been ruled out for the remainder of the season with an ACL injury to his knee. He could return in six months ahead of the 2018/19 campaign, but is likely to miss the start of next season. Dan Gosling has also missed the last few games with his own knee injury, whilst Jefferson Lerma missed a game recently through suspension. Harry Arter is on a season long loan with Cardiff City with no recall option. 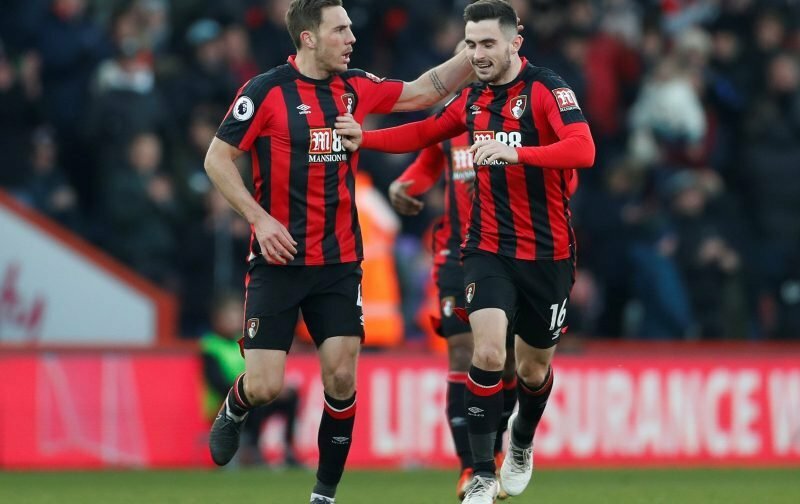 This left the returning Lerma and Andrew Surman as the only fit and obvious central midfield options, although AFC Bournemouth manager Eddie Howe could consider David Brooks or Junior Stanislas stepping inside from their favoured wider roles or even moving Nathan Ake out of the defence to play him further forward. It’s not just midfield that AFC Bournemouth are light on numbers. Adam Smith’s injury highlights how weak on the ground the Cherries also are on the right side of defence. Simon Francis has slotted back into the right back role, but an injury or suspension to the club captain could see someone being played out of position to fill the role. An injury to Steve Cook would likewise cause a re-shuffle with Francis being the only right sided centre back option with Nathan Ake and Tyrone Mings favouring the left side. Some new faces would be ideal, but the January transfer window is often proved to not be the time to find the right additions. “It’s the natural thing which everyone will look at and talk about. “Of course, we are actively looking at every possibility but for me to say we will bring someone in during January because we will be able to find better than the players we have in that position, I would be lying. “Let’s wait and see and monitor all the possibilities. I wish Lewis Cook well on his road to recovery. Suddenly trying to get Loftus-Cheek, or similar, on loan looks very important. – Join the conversation, click here.